"The world is burning. As a species humanity has plunged itself into an abyss of displacement, greed, primeval tension and paranoia. 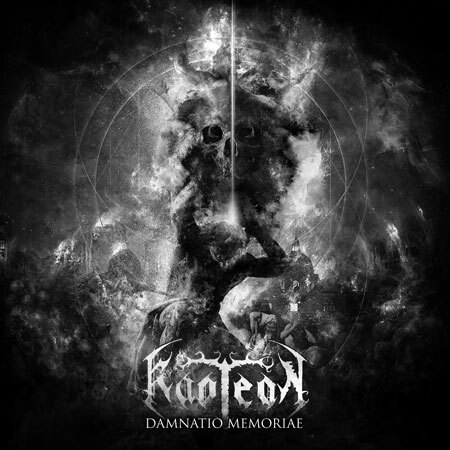 Out of the hellish darkness emerges 'Kaoteon' with an unrelenting wall of visceral blackened savagery; their new album 'Damnatio Memoriae'"
...and what a savage beast it is! 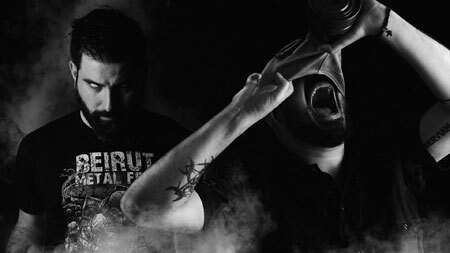 'Damnatio Memoriae' is the second full length from the Lebanese Black Metal duo Kaoteon; Anthony Kaoteon and Walid Wolflust, who, in true Metal style, endured censorship, jail for 'Devil worshipping', were attacked by religious groups and raided by the police in their home country for their music, before relocating to Amsterdam and furthering their art. 'Damnatio Memoriae' is set to be one of the most insanely brutal, savage and exhilarating albums that is likely to cross your path this year. It's predecessor, 'Veni Vidi Vomui', was a pretty insane affair also but where this excels further is in the sharpness of the delivery and finish of the release. 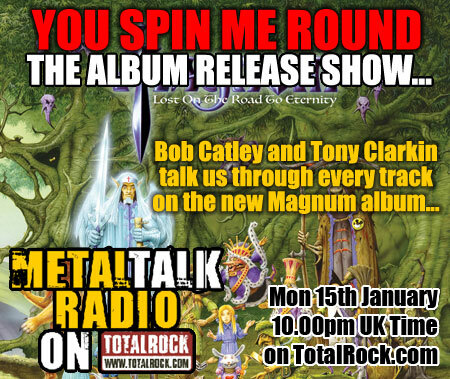 They are also honed down to a duo for this release but with the addition of guest musicians extraordinaire, namely Linus Klausenitzer from Obscura on bass and covering drum duties is Fredrik Widigs from Marduk, making it a multicultural one-off project par-excellence. 'Damnatio Memoriae' is nine tracks jammed forcefully into a breathtaking forty-three minutes, superbly constructed, exuding so much excitement and delivered with such ferocity, passion and blackened vitriol it will shake you to your very core from the opener, the dark intense 'Damnatio Memoriae', which describes an ancient Latin practice where "a person or a figure is eradicated from memory, from all mention, and from all written books with the intent to remove such a figure from history", to the closing, haunting 'A Breath' with its soaring leads that contrast against the intense riffs and unrelenting drum work and although much less intense than the predecessors, still maintains that strong crushing dark brutality to the final note. There is so much to love and nothing to dislike about this release; Fredrik's drum delivery is superb, at times very militaristic, others just blasting though as well as delivering some superb patterns, and the vocals from Walid are just insane, tortuous screams, growls and squeals all unleashed with an unbelievable power as well as excellent clarity to the lyrical content. Linus's bass work adds huge depth at the bottom end and come into their own, adding an extra layer of texture on 'Barren Lands' and 'Raging Hellfire'. As for the remaining guitars, they mostly manifest as an intense wall of riffs that will suddenly flow out into a more organic sound or developing a punch to their delivery. You even get a squeal of insane shredding lead work in the latter part of 'Into The Mouth Of Kaos' which arrives as an exhilarating surprise after the varied waves of riffs that assault your senses up until that point. 'Damnatio Memoriae' is very much a hands on project; the album was recorded by the band themselves, then mixed and mastered in Sweden by Daniel Bergstrand (Abbath, Behemoth and Dark Funeral). 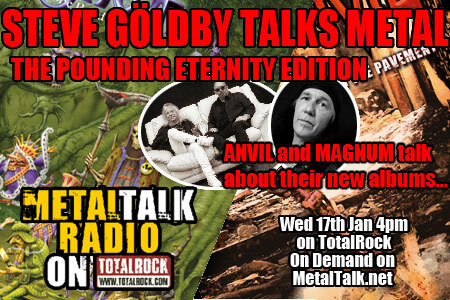 Fans of Marduk, Absu or Watain in particular will find this a hugely rewarding listen, but anyone with an interest in Black Metal will certainly not be disappointed. 'Damnatio Memoriae' will be independently digitally released at kaoteon.bandcamp.com.